For those who spend long stretches of time in a reclining or lounge chair, a pressure relieving cushion may be necessary to prevent the development of pressure sores. The Harvest Ultra-Thin Pressure Relief Cushion is made specifically for this purpose, designed to provide high levels of pressure relief when placed on top of your existing reclining chair cushion. Recently redeveloped with a new 35mm foam base, this cushion is an excellent way to increase comfort and decrease risk of pressure sores. For those who require full-body pressure relief, this cushion is also available with a leg and lumbar support attached. While your existing chair may be comfortable, it most likely does not have adequate pressure relieving qualities to prevent pressure ulcers. This cushion solves this problem, upgrading your current chair into a highly comfortable cushion with enhanced pressure distribution properties without sacrificing the user's posture. 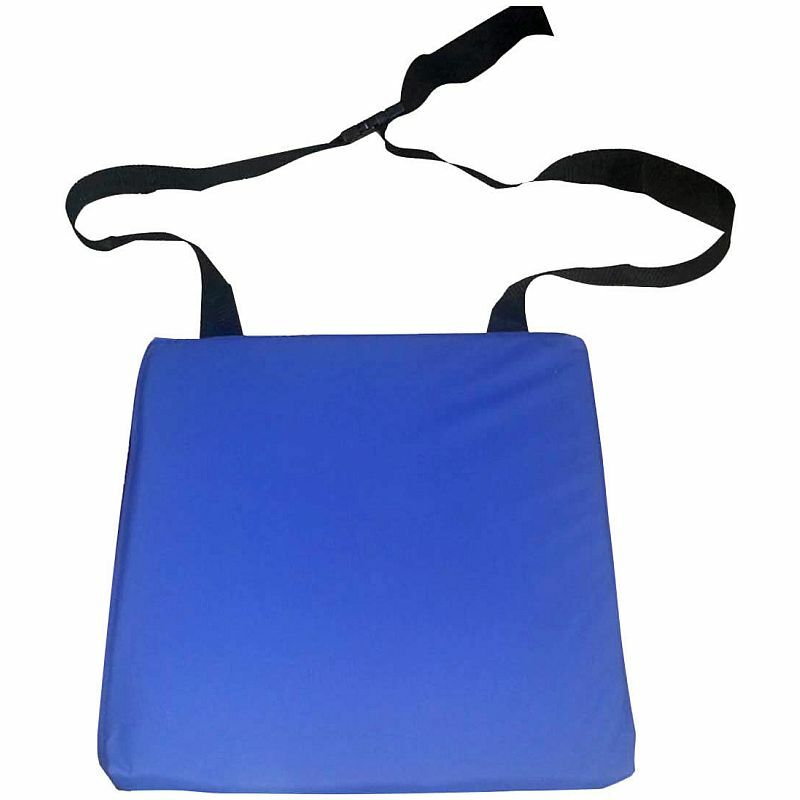 This foam cushion will offer the patient extra comfort while boosting support and enhancing stability. This cushion has been developed to be as user-friendly as possible, with an easy to use strap that secures it tightly to the chair. This strap prevents the cushion from slipping, maintaining the posture of the user and preventing any unnecessary friction. Additionally, this cushion is extremely lightweight, making it easy to transport and set-up. Foam cushions can provide excellent levels of comfort and pressure relief, but if not properly protected, can lose their shape and efficacy over time. This cushion comes with a specially designed two-way stretch vapour permeable cover, designed to protect the cushion while allowing it to breath. The waterproof properties of the cover protect the cushion from spills and fluids while still allowing it to breath, therefore retaining bounce-back and shape.